On May 19th, Iranians return to the polls to select their next president. The much anticipated event has received a great deal of scrutiny from journalists and analysts who have been closely monitoring the candidates and their campaigns. Iran continues to play center stage in global politics due to concerns about its compliance with the 2015 nuclear weapons program agreement as well as its habit of interfering with regional conflicts. Since several contenders have dropped out of the race, Rouhani’s only real threat is a conservative who is unwaveringly loyal to the principles of the country’s 1979 Islamic Revolution, cleric Ebrahim Raisi. So,once again, it’s a battle of reform versus traditional values, but unlike the 2013 race, this election is too close to call at this point. 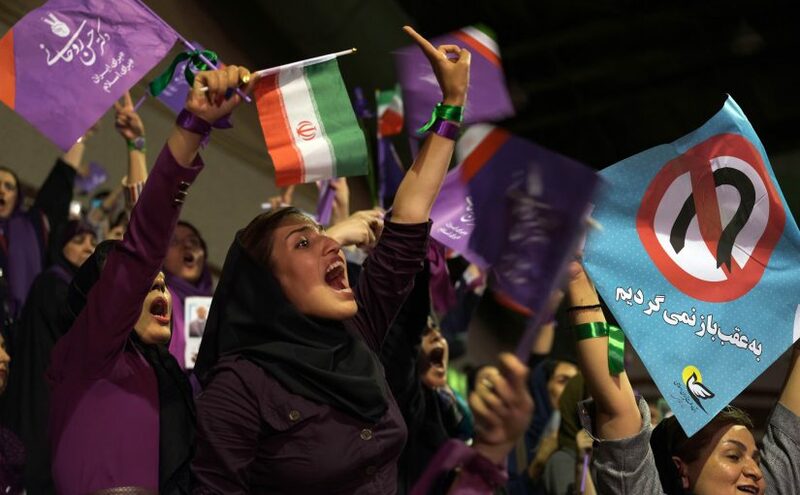 Though Rouhani holds the lead in polls, no one holds a majority, which is required to win. The issues at stake and the shift in public discourse during this cycle make this election especially compelling. Here we answer some questions about the election and provide links to resources to give you a better understanding of its significance. The information is drawn from a variety of sources. The presidential elections in Iran are headline news every 4 years. Iran is known for its role in so-called proxy wars in which it supports Shia groups and militias in international conflicts such as Yemen, Syria and Iraq. By stoking sectarian divisions, the Islamic republic has run afoul of the United States and other global powers that accuse Iran of perpetuating war and enabling unnecessary strife and suffering. The leader of Iran has the power to influence domestic and international rhetoric, and either fuel or defuse tensions around the world. Since the 1979 Islamic Revolution, there has been an ongoing struggle between traditional religious clerical leaders and reform-minded moderates. In 2009, the Green Movement erupted after the reelection of Mahmoud Ahmadinejad when protesters demanded his removal from office. Clashes between protesters and security forces led to injuries, arrests, and deaths. When Rouhani came onto the scene in 2013, he was seen as the antithesis of his predecessor. With his centrist views came hopes for improvements to people’s socio-economic status that have largely been unmet. But conservatives have targeted Mr. Rouhani for what they regard as his softness toward the United States and tolerance of Western culture. Still, Mr. Rouhani is considered the front-runner. 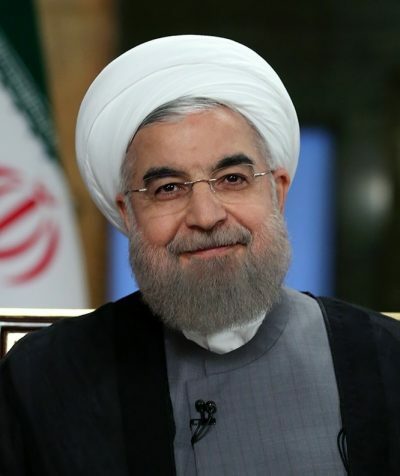 Rouhani’s campaign promises on social freedoms have been stalled after he ran up against fierce opposition from hard-liners who worry that Rouhani’s policies will undermine their power. Widely believed to have the backing of Iran’s supreme leader, Ayatollah Ali Khamenei, Mr. Raisi is known as a hard-line cleric who has spent most of his political career as a prosecutor and judicial official, starting at age 20, two years after the revolution. 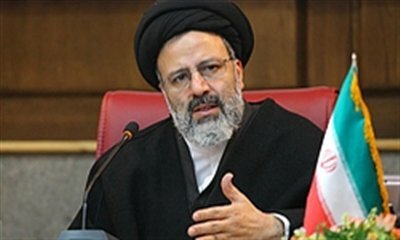 Last year he was appointed by Mr. Khamenei as the custodian of Astan Quds Razavi, a well-endowed Islamic charity in charge of Imam Reza Shrine, one of the holiest sites in the Shia branch of Islam that prevails in Iran. Mr. Raisi also is a member of the Assembly of Experts, the clerical body that supervises the work of the supreme leader, and is regarded as a possible successor to Mr. Khamenei. He appears to have the support of the clerical establishment. Mr. Raisi wears a black turban identifying him as a descendant of the Prophet Muhammad. Critics contend that Mr. Raisi, with his strict anti-Western views, would lead Iran back into isolation like President Rouhani’s unpopular predecessor, Mahmoud Ahmadinejad. Rights advocates say he was among the judicial authorities responsible for mass executions of leftists and dissidents during political turmoil in 1988, when roughly 4,500 people were believed to have been killed. Mr. Raisi is not known to have spoken in the campaign about that era. What is at stake in the election? The biggest issue of the election is the economy. Has the 2015 nuclear deal improved the lives of Iranians? Rouhani promoted the nuclear agreement as a means to ease crippling sanctions that stifled the country’s economy but while Iran has signed multi-billion-dollar deals with airplane manufacturers, the benefits have not been felt by the general population, which has become increasingly disheartened and discontent. Joblessness and poverty rates remain high. Raisi has promised to improve the economy by providing government housing and offering monthly cash payments to the poor. A topic of global interest is whether the next president will uphold the nuclear deal. All candidates claimed they would do so during debates but experts are concerned by how a conservative president might interact with unpredictable President Trump. Further, what influence will the next president have on Iran’s regional role as an instigator and supporter of conflict? Do presidential elections in Iran even matter? Although Iran’s electoral process is far from being what Western nations would describe as free and fair — religious leaders vet the candidates — presidents do play a role in shaping Iran’s foreign and domestic policy, which often reflects the ebbs and flows of society. They also have the power to appoint key Cabinet members and provincial governors. The presidency remains subordinate to Ayatollah Ali Khamenei, who as supreme leader has the final say over Iran’s foreign and domestic matters, but presidents still wield influence. Consider the 2015 nuclear deal, in which Iran agreed to curb its nuclear program in exchange for the lifting of some international sanctions. Such a deal would have been unimaginable during the presidency of Mahmoud Ahmadinejad, who routinely railed against the West and the U.S. in particular, once suggesting the American government was behind the Sept. 11 terrorist attacks. Rouhani, however, championed the nuclear deal and began the process of thawing relations with the West. He also criticized leaders of the Revolutionary Guard for trying to disrupt the deal. 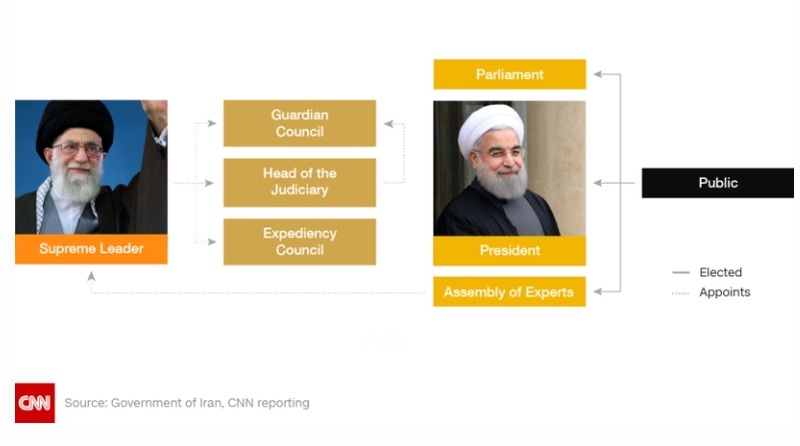 Rouhani’s emphasis on diplomacy and his pledge to open Iran to the international community, compared with Ahmadinejad’s isolationist approach, illustrates the nuances that different actors bring to the role of president and how those differing agendas has far-reaching effects. Presidents also have tremendous influence over the economy. Under Ahmadinejad, inflation skyrocketed to 40%. According to Iranian media, the rate last year was 7.5%. Unemployment, however, remains high — and a frequent complaint about the Rouhani administration. How do elections in Iran work? This is the Islamic Republic’s 12th presidential election. The minimum voting age is 18 and there are about 50 million eligible voters. Presidents can serve up to two consecutive four-year terms. Incumbents generally win second terms but slow economic growth under Rouhani has provoked significant criticism and led to a much tighter race than anticipated. The Guardian Council vets legislation and political candidates in Iran. The 12-member body of jurists acts in many ways as an upper legislative house. Half its members are specialists in Islamic law appointed by the supreme leader (Khamenei), and the other half are civil jurists nominated by the Supreme Judicial Council and appointed by the Iranian parliament. Out of 1,600 people who registered to run in this year’s presidential election, the council approved six people. To win, a candidate must get more than 50% of the vote. If no candidate wins a majority, a runoff between the two lead contenders will take place a week later. Who will the Iranians choose? Their selection could reshape regional dynamics. A more conservative, inward-looking Iran could result in the development of new alliances to counter the republic’s power and influence. The status quo, however, is popular neither in Tehran or Washington, D.C. Tune in to your news source on May 19th to see how the presidential election plays out!